Has the time come for you to live out your dream of learning to fly? We do this every day! We can help you work out a feasible and effective way to earn your private pilot certificate and have a great time doing it. We can formulate a plan around your schedule so that you can work, attend school, and make flying a part of your life too. 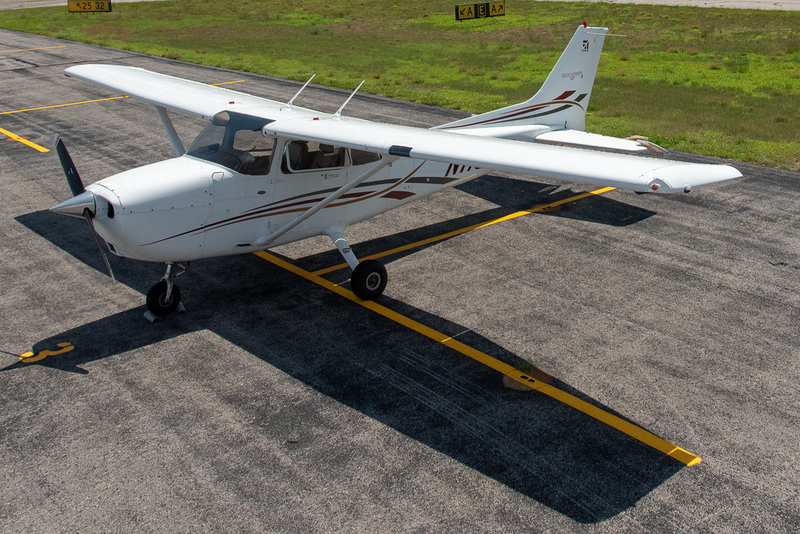 We have a diverse population of students and renters from all walks of life and we take pride in working with each individual to successfully achieve their private pilot certificate. Give the gift of flight, students can start as young as 16! Formulating a plan around your schedule creates a feasible and effective way to earn your private pilots certificate. 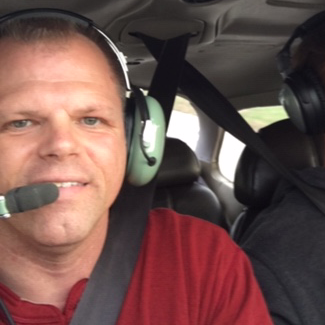 We take pride in working with each individual to successfully achieve their private pilots license. Check out this fun flier for some details! Clouds? Weather? Enhance your skills and your safety and experience level with instrument training. 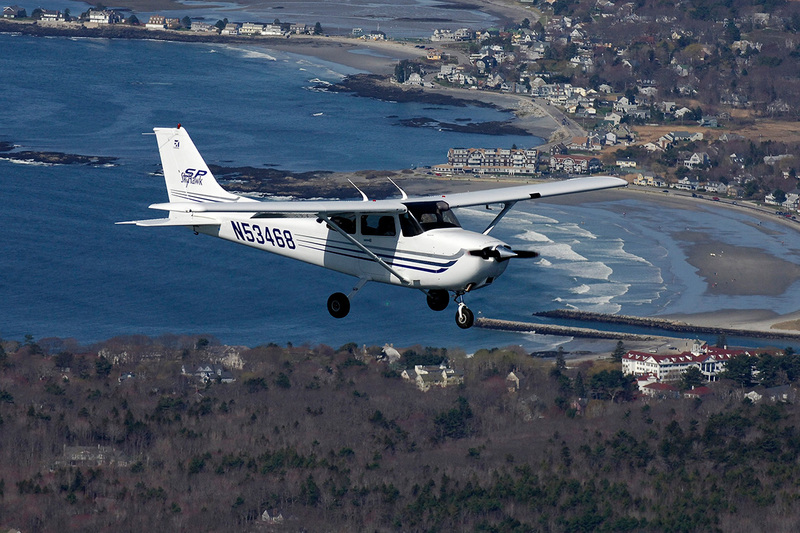 New England weather offers us the opportunity to get some great instrument flying experience, and it allows us to practice good judgement and saying “no way today!” We can plan a customized course of instrument flight and ground training that works for you! Our instrument instruction is challenging! And if the weather is just too awful to fly, we can keep making progress in our motion-equipped Redbird simulator. Thinking about making aviation a career or second job? Advancing your flying skills by obtaining a commercial certificate can open doors to an aviation career. We can help you make this happen! Based on your experience, we can plan a customized course of training that will work for you and have a good time doing it. Most of our instructors have airline, corporate, or military backgrounds and we will train you to fly as professionally as we can. Are you ready for a challenge? We are an FAA Approved Flight School. Part 141 or 61 training is available. 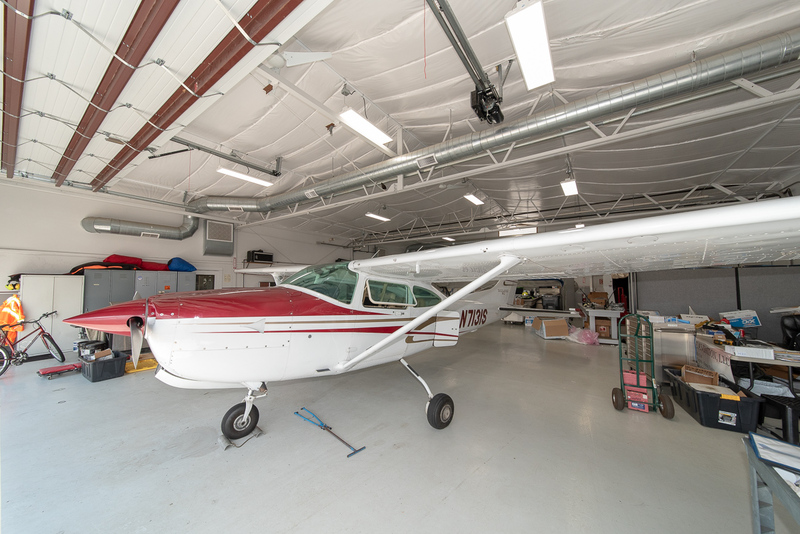 The Sanford Seacoast Regional Airport is a great location for instrument training. The airport has a variety of instrument approaches and close to the Portland and Portsmouth airspaces. Depart to the north and talk to Portland Approach, depart to the south and talk to Boston! And if the weather is just too awful to fly then we can utilize the full motion Redbird Simulator to continue the progress in your training. Give us a call and we can answer your questions! Are you looking to expand your light aircraft experiences? In our best New England summer weather, learn how to get in and out of small grass and dirt strips near the White Mountains and along the coast of Maine. We have dozens of great charted and non-charted airports that we are able to fly into! We can bring a picnic lunch, stop for ice cream at a dairy farm, and buy lobster for dinner along the coast! The options for this four hour adventure are nearly limitless. No previous experience required but you must at least have a student pilot certificate. Call or email to inquire! Some pilots really love to fly tailwheel airplanes and for them we have a Citabria. Ours was built in 2004, though the design dates back to Grandpa’s time. It is truly “stick and rudder” flying, with fantastic visibility. If you want to get your tailwheel endorsement and open the doors to a whole new world of aircraft and experiences then look no further. We’d be happy to discuss the training with you! Give us a call or email and get started! Andrew Button has been flying since sixteen and has never grown tired of the view. He enjoys flying with a variety of people and different airplanes. He has a small family and enjoys hiking and lake life. 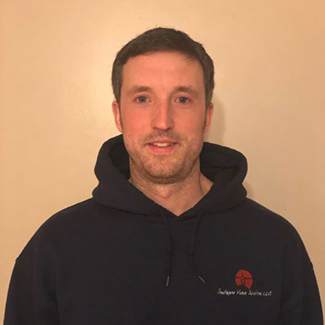 Andrew is the Chief Instructor at Southern Maine Aviation and has diverse experience in aviation training and management. He dreams of ocean sailing. 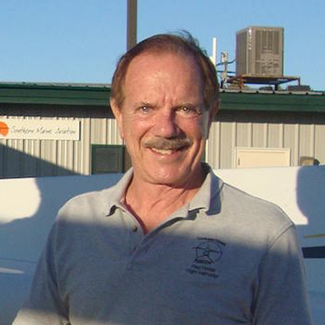 Michael Burns started his aviation career in his home state of sunny Florida in 2013. 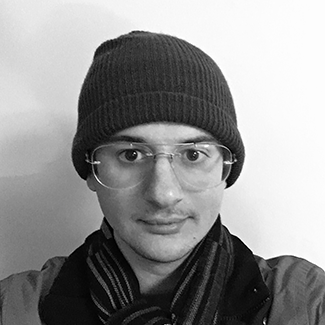 An artist at heart, Michael enjoys arts and crafts and is an amateur baker in his spare time. He is a tech guru and can fix anything with a CPU. He is living his dream working as full time professional flight instructor. Paul Hodak is a retired American Airlines Captain and former flight instructor at Embry-Riddle Aeronautical University. He has more than twenty-eight thousand hours of flying experience, from Cessnas to wide-body commercial airliners. 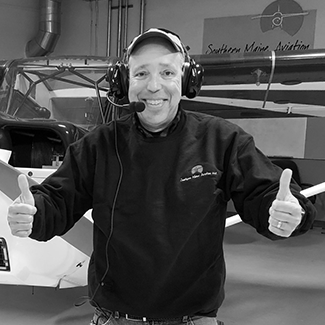 Instructing at Southern Maine Aviation has given Paul an opportunity to share his experience with recreational and professional aviation enthusiasts alike. 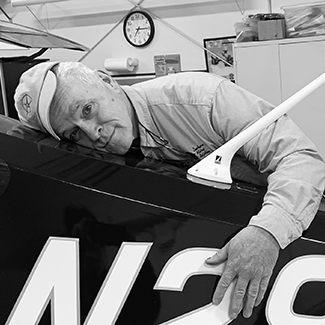 Rich Whicker learned to fly a taildragger in Jaffrey, NH in 1970 and has a multitude of professional flying jobs since. 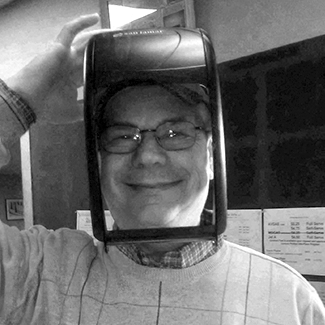 Rich has had a lifelong passion for anything that flies. 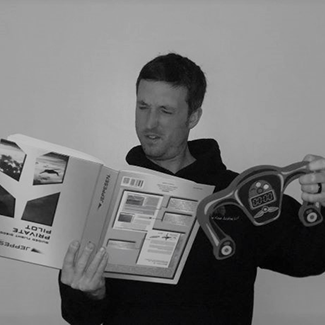 Ask what is the most important quality a flight instructor must have? “A strong sense of self-preservation”. 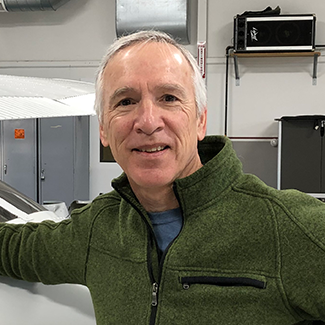 Rich Curcio is currently a first officer for an aircraft charter company. He has been working in aviation in one form or another for the past ten years. 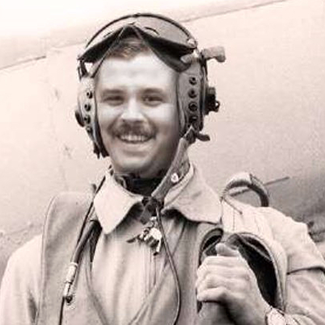 Rich enjoys spending time with his family, a good whiskey, and learning to fly various types of airplanes. Rich does not combine the last two activities and recommends you not doing so either. Mike Sachse is a former active duty and reserve Air Force pilot. 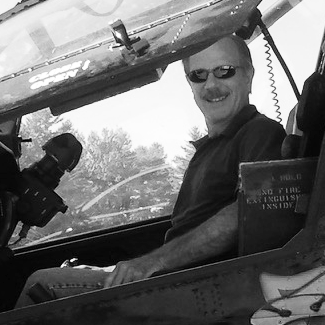 Since retiring from the corporate sector he has been enjoying being an Instructor at Southern Maine Aviation. 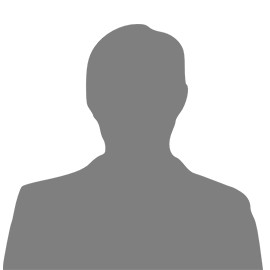 He is an avid sportsman and enjoys cycling, skiing, and carving decorative wood animals. 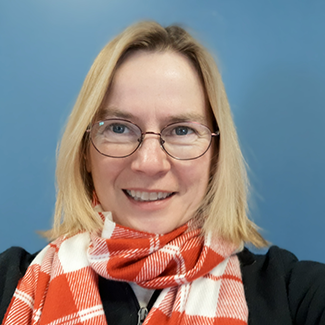 Sue Tholen has been instructing at Southern Maine Aviation part-time for the last 15 years, while working in real life as a structural engineer and IT data analyst and whatever new career suits her fancy. 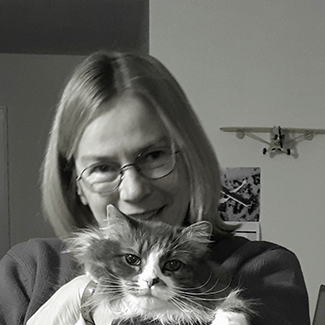 She loves flying taildraggers into interesting new places and has recently taken the plunge into attempting a kit built airplane. Matt Hunter retired from the Air Force after 23 years of active duty service. He is excited to bring the experience he gained during his career to the students at SMA. In his spare time he likes hunt, fish and exercise vigorously. 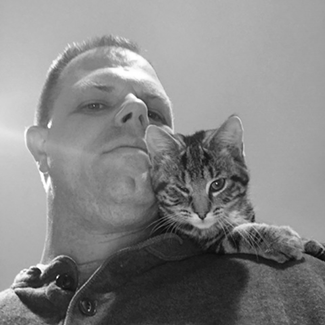 Matt was born and raised in Maine and has a small family of his own. Kristy Johnson-Fenton has been involved in aviation since 1997. She learned to fly in the St. Louis area and was an instructor and cargo pilot before moving to Maine. Kristi enjoys teaching at SMA. She has a passion for traveling and various arts and crafts. James Stickney earned his private pilot license in a taildragger then learned to fly aerobatics before continuing on with his other ratings. 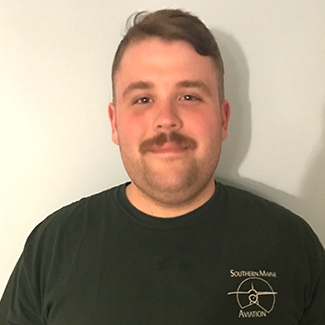 He currently works in the power generation industry but enjoys sharing his passion for aviation as a part time instructor at Southern Maine Aviation. Nick Mangino is a full time Patrol Deputy for the Cumberland County Sheriff’s Office and has been flying since he was 17 years old. 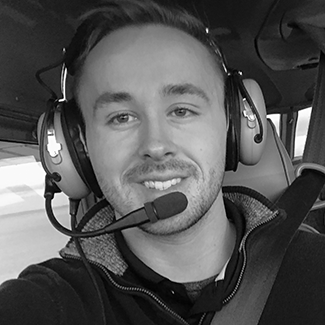 Nick flies with SMA on his days off and is very excited to be able to share and teach his passion with others. 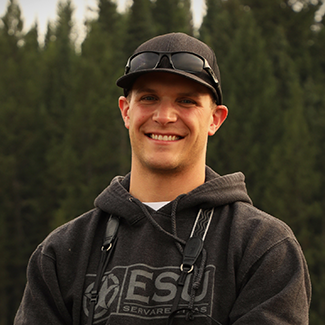 When Nick is not flying, you can find him in the gym doing Crossfit, recreating in the Maine Woods hunting and fishing, and spending time with his wife and dogs. 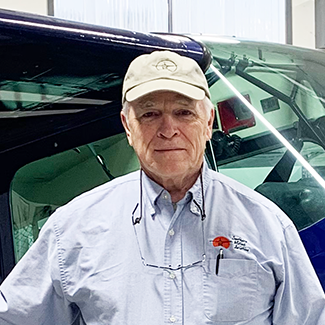 Jerry Fraser worked as a deckhand on fishing boats in his youth, and never thought for a moment about aviation growing up. That is, until he took his own “discovery” flight at Sanford Airport in 1990. 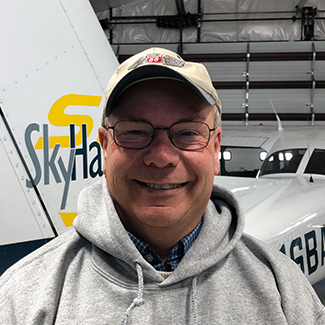 He became an instructor in 1995 and now spends weekdays behind a desk in Portland, daydreaming about flight instructing at Southern Maine Aviation on the weekends. Christian Hemenway started flying in 1985 and received his private pilot certificate in 1986. In 1989 he iced the cake with his Instrument, Commercial, CFI & CFII. He worked for a flight school out on Long Island, NY before returning home to Maine to work at his family’s business. He have always loved flying and enjoy sharing that passion with everyone that he works and flies with! 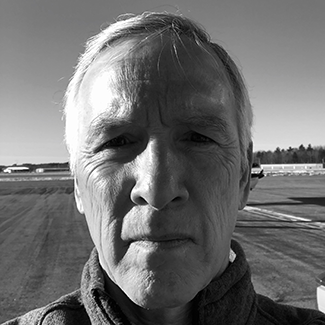 John Gary has been a regular fixture at the Southern Maine Aviation and the Sanford Airport for the last twenty years. 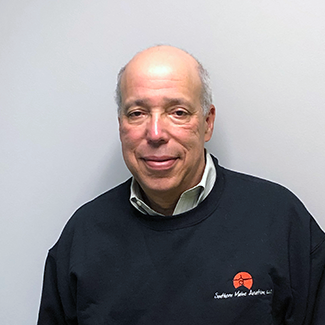 John is a designated pilot examiner and a great resource to the pilot population here at Southern Maine. John can build anything out of wood and is fairly skilled in the kitchen as well. 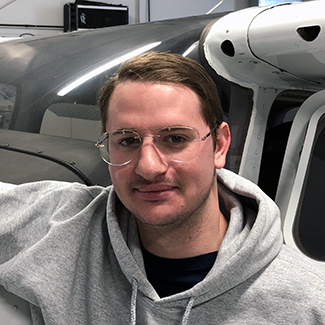 Nicholas Heyland is a college student graduating in May 2019 from Bridgewater State University with a degree in Aviation science and a concentration in flight training. 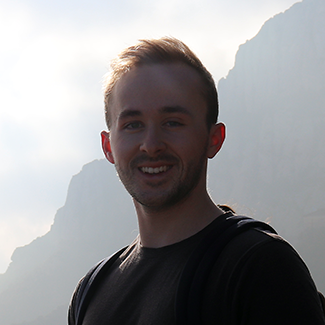 Nick is one of our seasonal flight instructors, who spends his spare time surfing, skiing and camping. 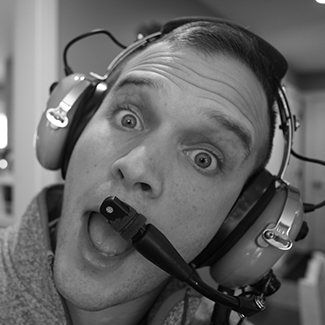 He started flying at SMA back in 2013 at the age of 16 and now teaches for the flight school. New to our fleet! 2006 Skyhawk G1000 glass panel is here! IFR certified with KAP140 autopilot will make an easy transation from our other SPs. 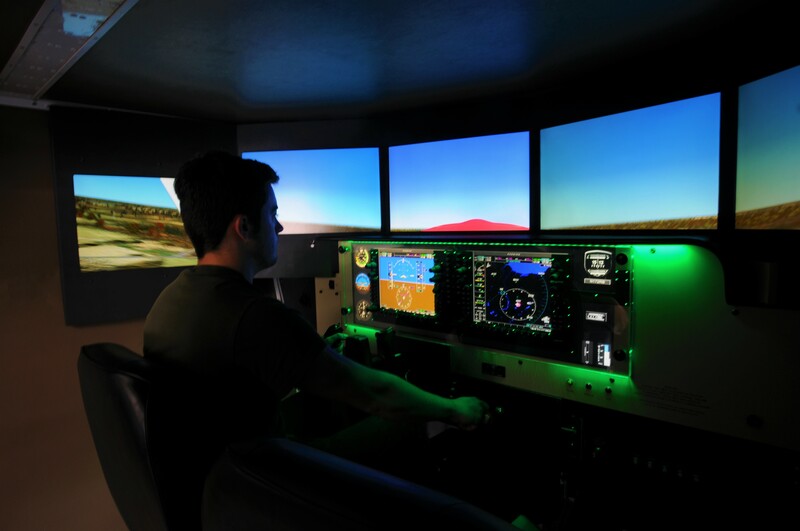 For students seeking to become a professional pilot, the G1000 is the most widely used glass trainer platform. 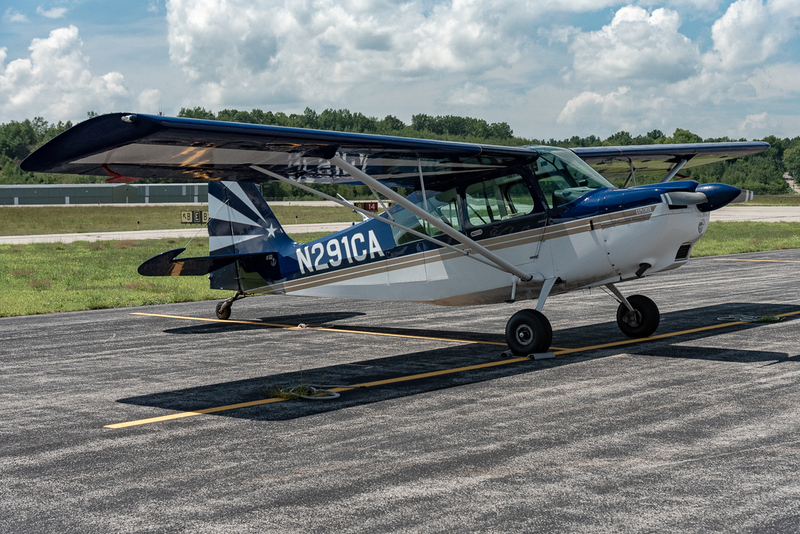 Our 2004 Citabria 7GCBC is a great taildragger, with awesome responsiveness and visibility. It is available for solo rental, tailwheel instruction and spin training endorsements Garmin 250XL manual. 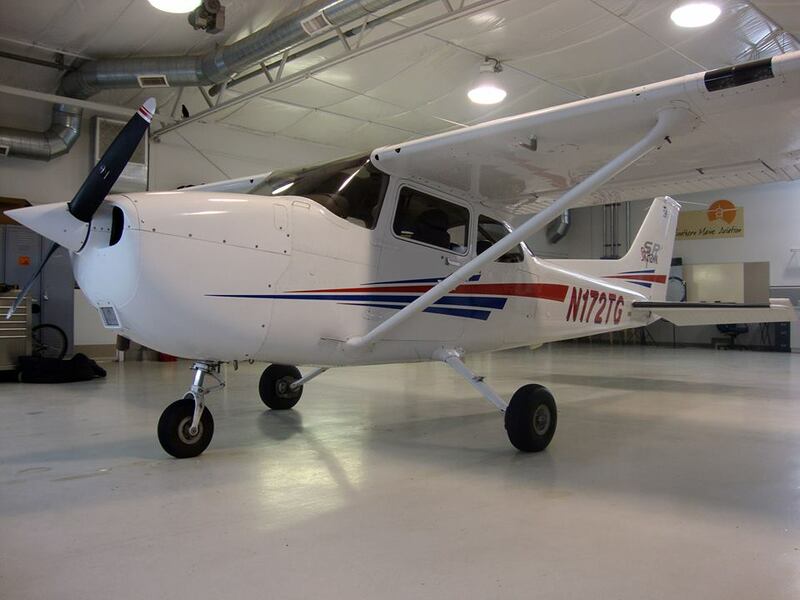 Our 2003 Skyhawk SPs are the backbone of our training fleet. IFR certified with KAP140 autopilot, King KLN94 GPS, and 180hp. Our 2002 Skyhawk SPs are the backbone of our training fleet. IFR certified with KAP140 autopilot, King KLN94 GPS, and 180hp. 2002 Skyhawk SPs are the backbone of our training fleet. IFR certified with KAP140 autopilot, King KLN94 GPS, and 180hp. and JPI-701. Wow – HSI, DME, KAP/KFC 200 autopilot w/ flight director, traffic, King KLN94 GPS and 150 kt cruise! Retractable gear and 235hp. Our FAA-approved advanced training device simulates a traditional Skyhawk as well as a G1000 Skyhawk. WHAT AGE SHOULD I BE TO LEARN TO FLY? We have had students as young as 12 and as old as 92. It is a good idea to be tall enough to be able to reach the rudder pedals. The FAA requires a pilot to be at least 16 years of age to solo and 17 years of age to take the practical test. WHAT IS A “DISCOVERY FLIGHT”? A Discovery Flight is your first flight lesson. It is your introduction to the airplane and the world of flight. Actual flight time is about 30 minutes, during which the student takes the controls for some basic flight maneuvers. The instructor handles the take off and landing, with the student following along on the controls. At the end of the flight there will be a debriefing to go over the flight and to plan for your next lesson. Allow about one and a half hours. The cost is $109 and includes your first logbook. WHAT DAYS AND TIMES ARE LESSONS SCHEDULED? We are open 7 days a week, 7 am to 5 pm. In the summer we are open until 7pm. You can arrange for a lesson any time in that block, or after hours by prior arrangement with your instructor. WHAT DO I NEED TO START FLYING LESSONS? We supply the airplane and headset. You’ll need to be comfortably and appropriately dressed for seasonal weather. Sunglasses are a nice accessory on sunny days, but not required. HOW LONG DOES IT TAKE TO GET A PRIVATE PILOT CERTIFICATE? The FAA requires a minimum of 40 hours of instruction and experience for a private pilot certificate. Most pilots require 60 or more flight hours to prepare them for their practical test. A lesson usually includes one hour of flying. We recommend 3 to 4 lessons a week, but some students pace it at one or two lessons a month. Aircraft Rental $9,600 60 hrs @160.00/hr Flight Instructor Time $1,800 30 hours @$60/hr Books, test fees, misc. $800 Total $10,700 Note: Cost shown are estimates and are based on typical hours, not minimum requirements. Prices are subject to change. WHEN DO I GET TO FLY BY MYSELF? This will happen after both you and your instructor feel you are ready. The FAA requires you to have passed your flight physical, be 16 years of age, and your instructor has signed an endorsement in your logbook that you are ready. That first flight alone is referred to as your “Solo” and generally happens after 12 to 20 hours of instruction. SHOULD I TAKE GROUND SCHOOL BEFORE I START FLYING? There is no need for any bookwork before you take your first flight. There is some studying involved in flying, to learn the regulations and the inner workings of an airplane, but that can be done as you work on developing your flying skills. The FAA has a required written test, but it’s multiple choice and they tell you the questions and possible answers beforehand, so don’t sweat it. There are a lot of study aids, videos and classes available to help you learn the material. We can help you find one that works for your learning style. WHAT CAN I DO WITH A PRIVATE PILOT CERTIFICATE? We make our aircraft available for rent to licensed pilots for anything from a quick flight along the coast to a month long trip to explore the west. There are thousands of public airports in the United States hoping you’ll stop by. WHAT TYPE OF AIRCRAFT WILL I BE FLYING? 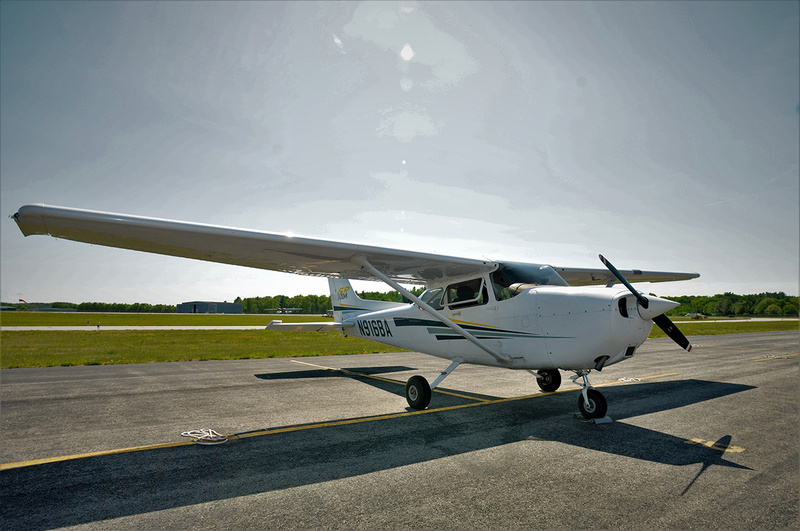 Most of our students start their lessons in one of our Cessna 172’s. These high wing four seat aluminum airplanes are known as “Skyhawks”. They are comfortable, predictable and very well built, making them one of the most popular – and safe – training aircraft ever built. Some pilots really love to fly tailwheel airplanes and for them we have a Citabria. Ours was built in 2004, though the design dates back to Grandpa’s time. It is truly “stick and rudder” flying, with fantastic visibility. We want flight training to be safe AND fun. It isn’t safe if thunderstorms are in the area or the clouds are low. It isn’t fun if it is really windy or turbulent or cold. Book your lesson when you can and if the weather is outside your comfort zone (or ours), we’ll just cancel the lesson and fly on another day.